ashtag (#) is a sign meant to be used to highlight a number; or, for the more experienced ones, it still represents the Tic-tac-toe's grid. With the rise of social media and text communication, this sign has got a whole new meaning that we all know now. Today people use hashtags on a daily basis. There are many purposes and they vary from one person to another, from one social media channel to another. Unconsciously, people use generic hashtags like #love, #goodmood or #motivation in order to summarise their message and convey the tone of it. In other cases, people use more specific hashtags to show that their message is a part of a phenomenon or a movement. There is no need to elaborate on that, simple examples like #metoo, #merryChristmas or #superbowl would be enough. 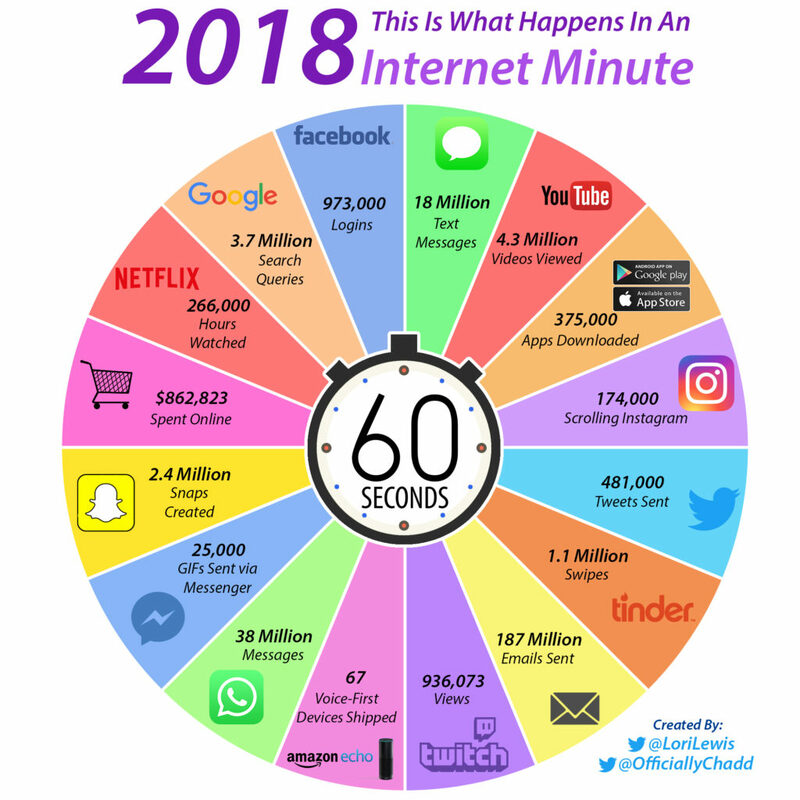 By now, the flow of conversations on social media has got extremely big and intense. As a result, people got the need to classify somehow online conversations, such as by using hashtags. They work like folders and by monitoring them, you organize all the chaos of social media information into these folders. But their use depends on the purpose and social media platform. Instagram is so far the only one that motivates users to stick to the main purpose of hashtags by introducing “follow the hashtag” feature. This made users focus on searching for favorite hashtags and use hashtags for being searched. Instagramers already use over 30 popular hashtags per post. Hashtags are made to be monitored. This way, you can access specific topics and follow the discussions worldwide especially if you use a tool to monitor hashtags, like Brand Mentions, that can find the same hashtag on many platforms simultaneously. Since 2007, this purpose has faded away on the level of the user. Although if you, as a marketer, not just used but also monitored your hashtags, it could bring you crucial changes in your digital marketing workflow. Hashtags became a key element of a brand. Now there are no social media guides without a chapter on relevant hashtags. This brand element is even included in the brand book. Companies take it seriously in identifying hashtags that represent the brand, and the key hashtags in their niche are called content hashtags. Being more used to it, it’s easier for people to write a hashtag with your brand name rather than tagging you. Then by hashtag tracking, you can see how many people are aware of your brand. In our case, the brand hashtag is #brandmentions. Also, tracking content hashtags like #brandmonitoring or #sociallistening helps us identify the performance of our content on a specific topic. Popular online users that include your hashtags automatically can be named your brand ambassadors. By tracking your hashtags you can find a perfect candidate for being an influencer for you. It would be a perfect match because the influencer is already passioned about your product. 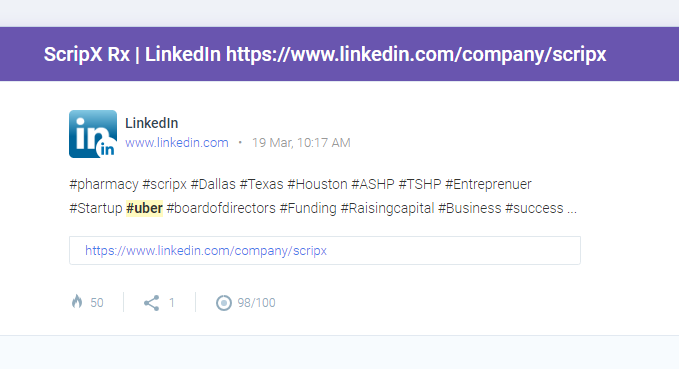 In not such an ideal situation, by tracking popular hashtags you can find top influencers that are active users in your industry and might be interested in collaborating with you. 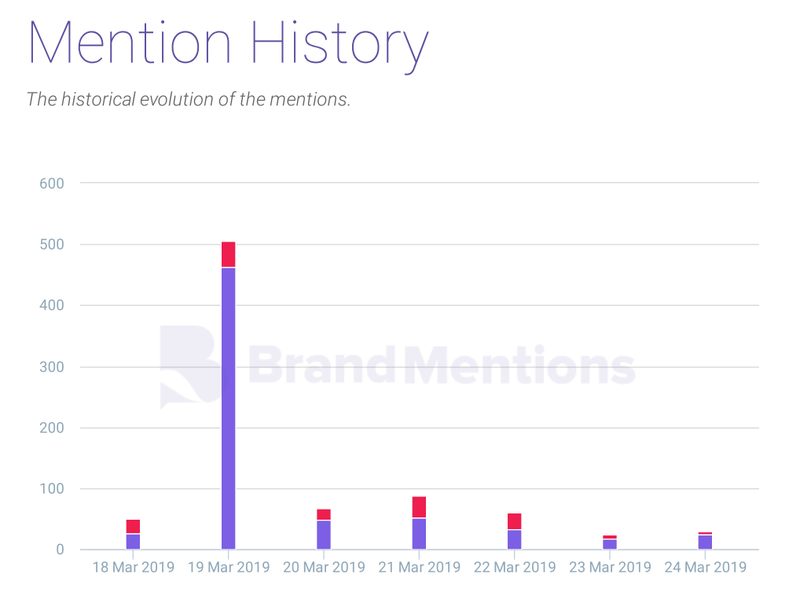 Just with a quick search for our content hashtags like #sociallistening, we found TwittaNerd who is Award-Winning Influencer, Digital Marketing Strategist and a potential influencer for us. Introducing a hashtag and then tracking it gives you much more information than a number of users, the reach and engagement. Put your digital glasses on and look deeper. With a hashtag analysis, there is a possibility to discover new target groups that are engaged with your brand. Next step would be to create, adapt, and reach this public by a new specific marketing strategy. You might think there is nothing left to cover for uber. With a quick search, we found a startup doing pharma delivery and using #uber hashtag for self-promotion. After delivering people and food, Uber could cover pharma delivery as well. It might be a productive collaboration or a new service they can offer by themselves. We will let Uber decide. By driving engagement with a marketing campaign, it is your responsibility to be responsive and hashtags help you identify those conversations where your answer is needed. Active users are always willing to express themselves even without you asking them. That's why their social media walls might be also a source of feedback user generated content. 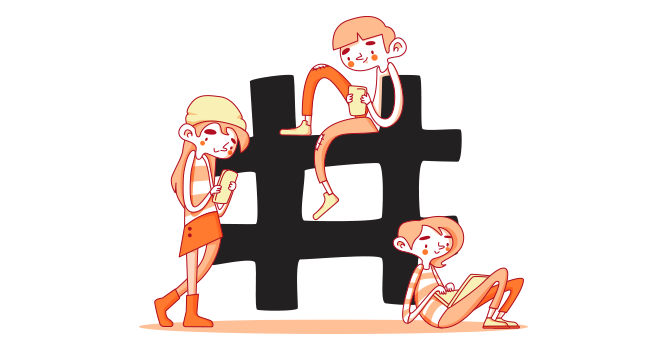 A hashtag analysis also allows you to scan the audience's post and search for specific topics related to hashtags that represent inconvenience or happiness. In social listening, any second counts and a good tool to monitor hashtags lets you set real time so you could respond immediately. A good part of such tools are paid but you can start the free trial before buying. 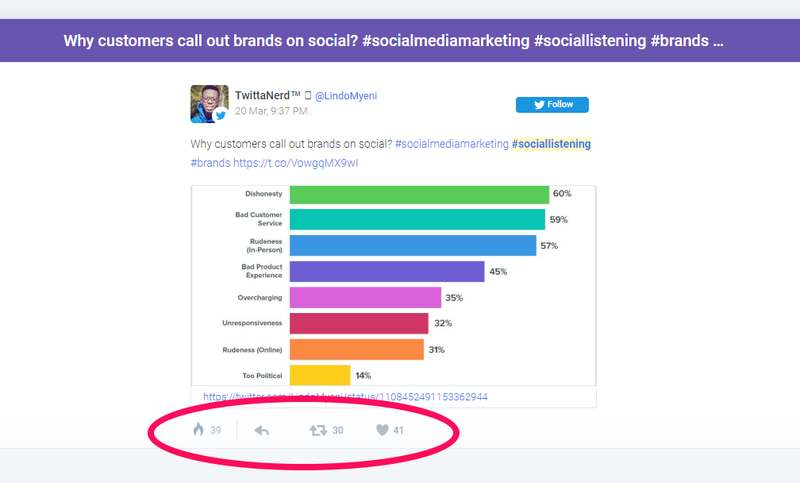 If you are still not convinced about spending time on social listening, there are 8 solid reasons to start doing it. A campaign is based on creating a movement, a concept or an activity people identify themselves with and want to participate to and share with the public. It might be an event, an online flashmob, a sale, a call to action, etc. An empowering message with a catchy brand or event hashtags is supposed to drive a lot of conversations and interaction. But you never know without monitoring hashtag performance. By tracking hashtags you can identify how your campaign is doing, what actions led to what results, what techniques reached what people. Based on that, you can adapt your next marketing strategies. By a hashtag analysis, it is obvious that the hashtag had an extreme success on March 19th. This boost was due to launching a Twitter chat with Andrea Larick, Speaker Manager for #CMWorld and #ContentTECH. With some advanced searches, more useful information can be found out on this marketing activity. If we talk about trends in marketing, it is about influencer marketing. This sub-niche started to get its popularity because of the huge results influencers where bringing by promoting a brand in online (directly or indirectly). It is as risky as it is amazing. Working with influencers is based on a contract but there are many cases when influencers weren't serious about the collaboration or even were discovered to be fake influencers. In order to double assure yourself, introduce specific hashtags for the influencers so you can personalize their approach and also track their work. This method has its advantage especially if the influencer is active on more than one platform. Also by using tracking tools, you can check on the influencer’s success (reach and engagement of the posts). Back to one of the classic reasons why people use hashtags, you, as a marketer, can turn it in your favor. By tracking popular hashtags like #coffeelover #fridaymotivation you can literally get access to people’s mind, wishes, emotions, and struggles. Treat it like a huge source of user generated content. After a good selection and hashtag analysis, there is a chance you get some fresh, original ideas for a marketing campaign, a product update or a strategy change. Or, if you are a dynamic company that depends on day by day news, you should track trendy hashtags. Popular conversations around them can make you participate, be part of a movement or get inspired for the future campaigns. One of the handy sources would be tweeter hashtag feed. 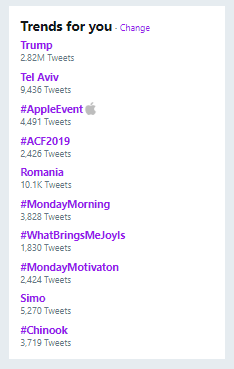 For example, after a big success of #metoo, it happened that the hashtag was translated in Romanian as #sieu and be used to launch a national movement for a new highway, the constructions being endlessly postponed by the government. Monitoring hashtags can be like checking if your audience does its “homework”. Online contests/competitions is a great technique to drive big engagement volume. By including a hashtag in the game, you not only enforce people to promote your brand but also can track the success of your campaign. By the end of any online competition, you need to announce the winners. 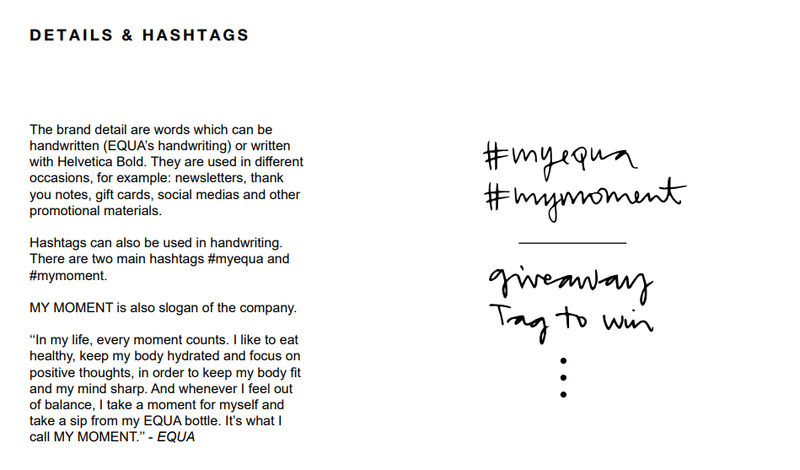 Hashtags are a minimum effort technique with a maximum impact for you and your audience. In the end, you track people who mentioned the hashtag and draw the winner. For those with no patience, some hashtag monitoring tools let you set real-time alerts so you to know every time a new hashtag post appears. There are much more advantages of setting real-time alters that might save your campaign and brand. With a little creativity, you can find other reasons, more personal or private, to track hashtags. This winter we witnessed one of these creative alternatives. When the hashtag #10yearschallenge appeared, many people used it to be trendy, to have fun or to promote themselves and their progress. At some point, a whole conspiracy theory appeared on how Facebook invented this hashtag to gather the data and to train A.I. 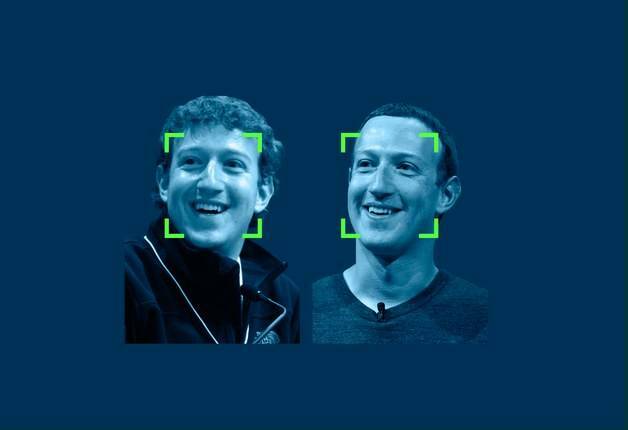 algorithms for better people recognition. True or not, we don’t know by now. Hashtags are a huge digital funnel for social media conversations. With a good hashtag strategy and monitoring tools, you can shape your marketing approach to fit people's diverse preferences. Monitoring hashtag performance is a key process for doing social listening and finding a personal approach. One more thing to keep in mind is: #please #don’t #overdo #using #hashtags.